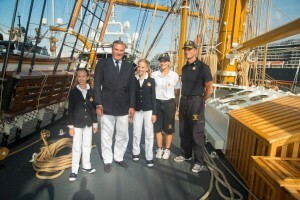 TRH Princes Charles and Camilla of Bourbon Two Sicilies with their daughters, TRH Princesses Maria Carolina and Maria Chiara of Bourbon Two Sicilies. 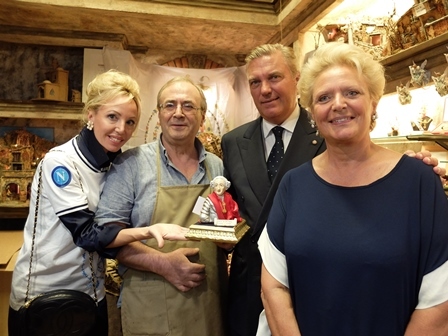 HRH Princess Camilla of Bourbon Two Sicilies, Duchess of Castro with the voluunters of the Association “Les Anges Gardiens” during night-time distribution of basic necessities to the people in need. H.R.H. 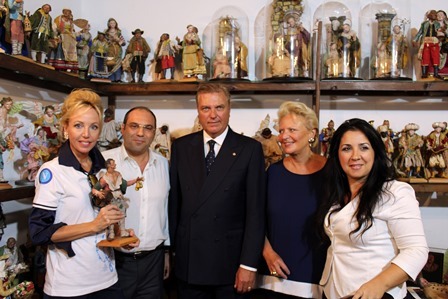 Princess Camilla of Bourbon Two Sicilies visited the orphanage “Zyber Hallulli” in Tirana. T.R.H. 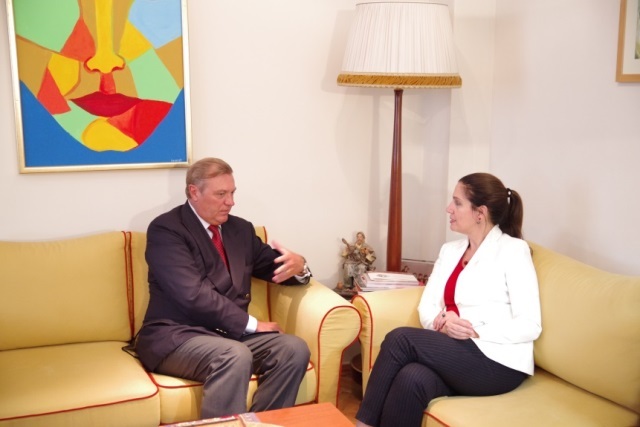 the Dukes of Castro in Albania met H.E. 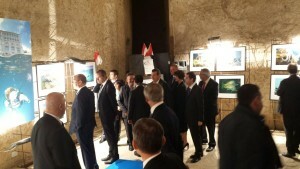 the President Bujar Nishani. H.R.H. 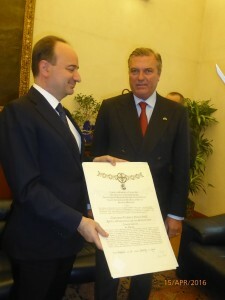 the Prince Charles of Bourbon Two Sicilies with H.E. the Minister of Health Mirela Kumbaro Furxhi. 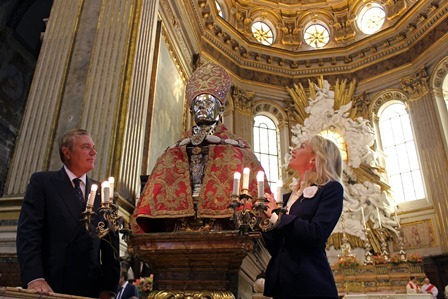 Their Royal Highnesses Prince Charles and Camilla of Bourbon Two Sicilies, Duke and Duchess of Castro wearing the decorations of the Royal House of Bourbon of the Two Sicilies and the Royal House of Albania. H.R.H. 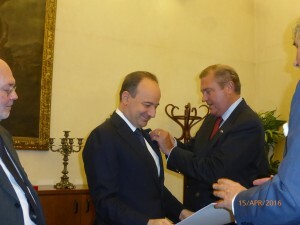 the Duke of Castro wearing the decoration of the Royal Order of San Gennaro and the decoration of the Order of Skanderbeg; H.R.H. 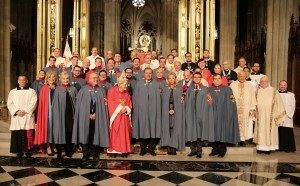 Duchess of Castro wearing the decoration of the Sacred Military Constantinian Order of St. George and the decoration of the Order of Mother Teresa of Calcutta. Birthday of H.R.H. Princess Anna of Bourbon Two Sicilies. 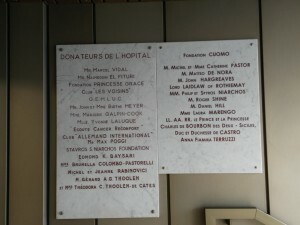 Monte Carlo, April 2016 – H.R.H. 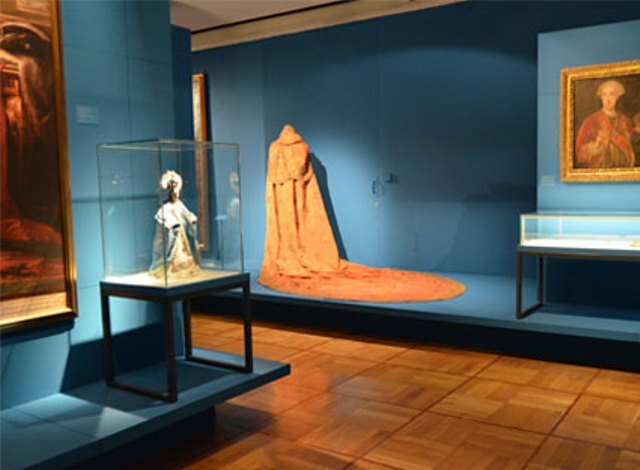 Princess Maria Carolina of Bourbon Two Sicilies, Duchess of Palermo, and H.R.H. 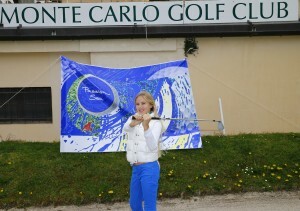 Maria Chiara of Bourbon Two Sicilies, Duchess of Capri, Ambassadors of the “Passion Sea” Association, at the charity event held at the Monte Carlo Golf Club. Milan, 16th April 2016 – H.R.H. 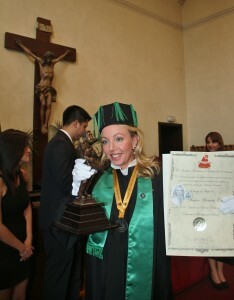 Princess Camilla of Bourbon Two Siciles, Duchess of Castro, has received an Honorary Doctorate from the Instituto Mexicano de Lideres de Excelencia and from the Universidad Instituto Americano Cultural S.C., at the Catholic University of the Sacred Heart, Milan. H.R.H. Princess Camilla of Bourbon Two Sicilies, Duchess of Castro, H.R.H. 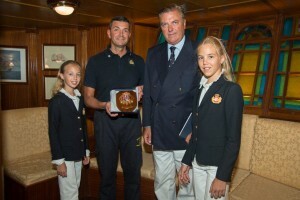 Princess Maria Carolina of Bourbon Two Sicilies, Duchess of Palermo and H.R.H. Princess Maria Chiara of Bourbon Two Sicilies, Duchess of Capri. H.R.H. 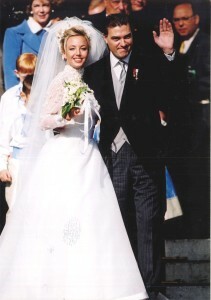 Princess Camilla of Bourbon Two Sicilies, Duchess of Castro. H.R.H. 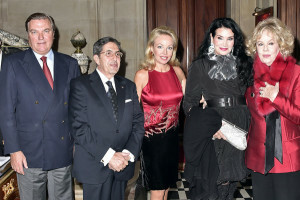 Princess Camilla of Bourbon Two Sicilies, Duchess of Castro, Dr. Jorge A. Fernández Herrera Rector Institucional, Dra Beatriz Fernandez L- Directora Protocolo and Dr. Brian Sandoval Secretario. 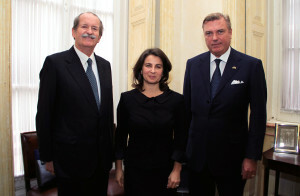 (From left to right) Dra Beatriz Fernandez L-Directora Protocolo, H.R.H. 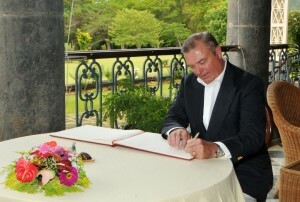 Prince Charles of Bourbon Two Sicilies, Duke of Castro, H.R.H. 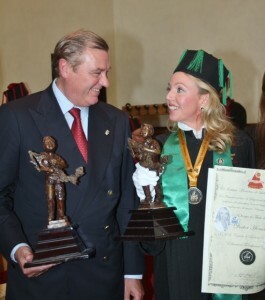 Princess Camilla of Bourbon Two Sicilies, Duchess of Castro and Dr. Jorge A. Fernández Herrera Rector Institucional. H.R.H. 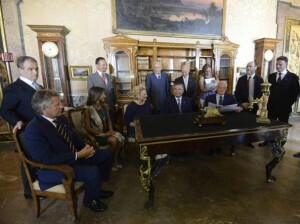 Princess Camilla of Bourbon Two Sicilies, Duchess of Castro during the acceptance speech. H.R.H. 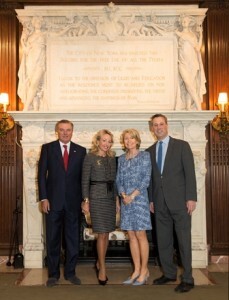 Princess Camilla of Bourbon Two Sicilies, Duchess of Castro and Mrs Edoarda Crociani. Milan, 15th April 2016 – H.R.H. 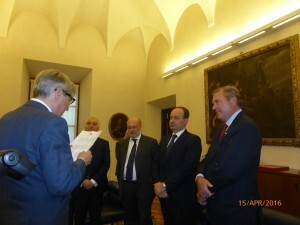 Prince Charles of Bourbon Two Sicilies, Duke of Castro, Head of the Royal House and Grand Master of the Sacred Military Constantinian Order of Saint George awarded the Decoration of Knight Commander of Merit to Franco Anelli, Chancellor of the Catholic University of the Sacred Heart, Milan. 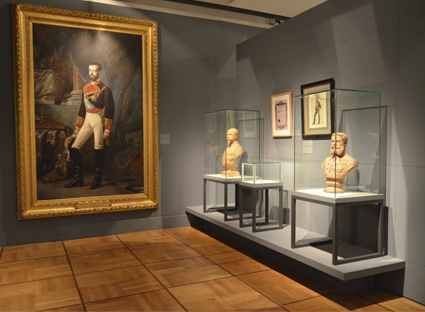 Paris, april 2016 – H.R.H. 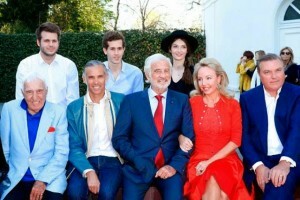 Princess Maria Carolina of Bourbon Two Sicilies, Duchess of Palermo and H.R.H. Princess Maria Chiara of Bourbon Two Sicilies, Duchess of Capri. H.R.H. Princess Maria Carolina of Bourbon Two Sicilies, Duchess of Palermo. H.R.H. Princess Maria Chiara of Bourbon Two Sicilies, Duchess of Capri. Paris, april 2016 – T.R.H. 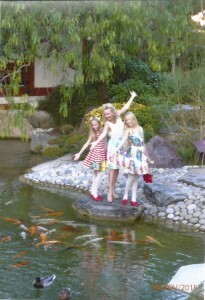 to “The Children for Peace” Gala. T.R.H. 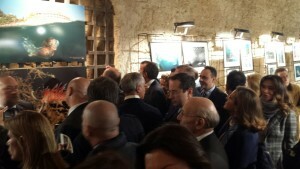 with Mrs Edoarda Crociani, Alberto Bochicchio and Lamia Khashoggi. H.R.H. 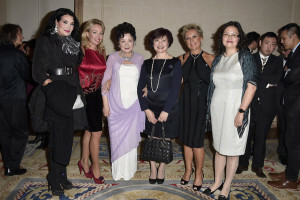 Princess Camilla of Bourbon Two Sicilies, Duchess of Castro with Lamia Khashoggi, Chow Ching Ling, Lucia Magnani. 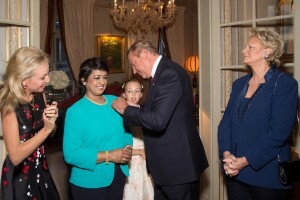 (From left to right) Lamia Khashoggi, H.R.H. 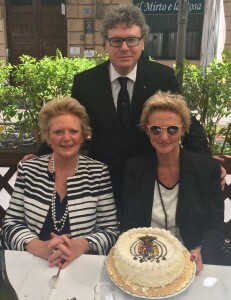 Princess Camilla of Bourbon Two Sicilies, Duchess of Castro, Debra Mace, Mrs Edoarda Crociani and Lucia Magnani. H.R.H. 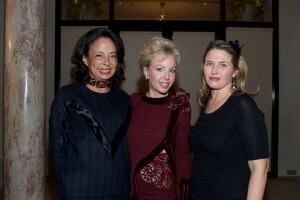 Princess Camilla of Bourbon Two Sicilies, Duchess of Castro with Lamia Khashoggi and Mrs Edoarda Crociani. Paris, 28th March, 2016 – T.R.H. 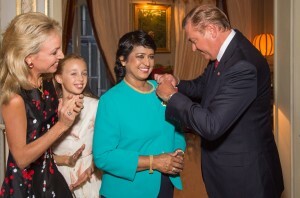 together with the President of the Republic of Mauritius, Ameenah Gurib-Fakim who was awarded the Honour of the Royal Order of Francis I with the grade of Dame Grand Cross. H.R.H. 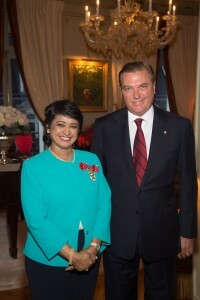 Prince Charles of Bourbon Two Sicilies, Duke of Casto, Head of the Royal House and Grand Master of the Sacred Military Constantinian Order of Saint George with Rama Poonoosamy, Minister of Culture of Mauritius and Director of IMMEDIA Communication. H.R.H. 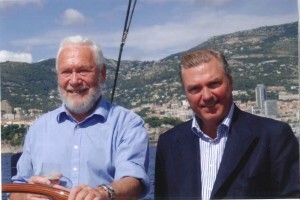 Prince Charles of Bourbon Two Sicilies, Duke of Casto, Head of the Royal House and Grand Master of the Sacred Military Constantinian Order of Saint George with H.R.H. 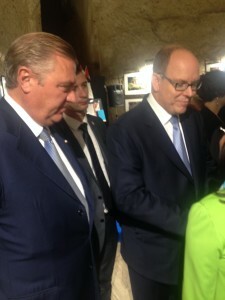 Princess Anna (on the left) and H.R.H. 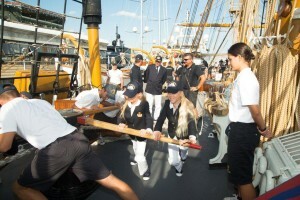 Princess Beatrice (on the right). New York, 10th March 2016. T.R.H. 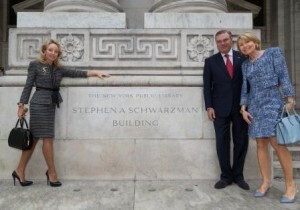 with Mrs. Schwartzman and Mr. Anthony Marx, director of the New York “Public Library”. T.R.H. 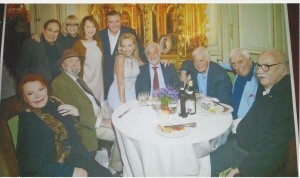 with Mrs Christine Schwarzman, Mr Anthony Marx, Mrs Giosetta Capriati and John Viola. T.R.H. 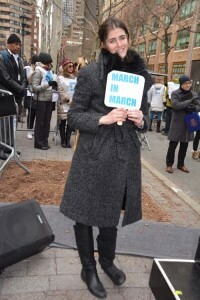 and Mrs. Schwartzman in front of the library. H.R.H. 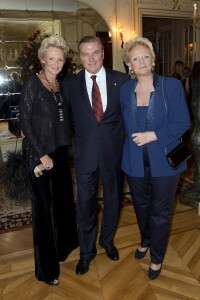 Princess Camilla of Bourbon Two Sicilies, Duchess of Castro with Mrs Schwarzman. T.R.H. 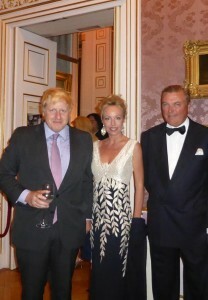 with Mrs Christine Schwarzman and Mr Anthony Marx. H.R.H. 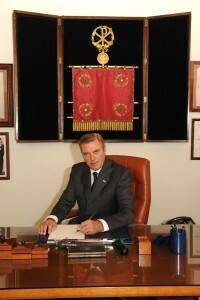 Prince Charles of Bourbon Two Sicilies, Duke of Castro, Head of the Royal House and Grand Master of the Sacred Military Constantinian Order of Saint George and H.R.H. 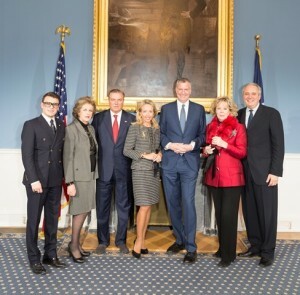 Princess Camilla of Bourbon Two Sicilies, Duchess of Castro with Mr. Bill de Blasio, Mayor of New York. T.R.H. 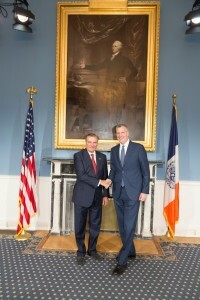 in the New York City Council Hall. 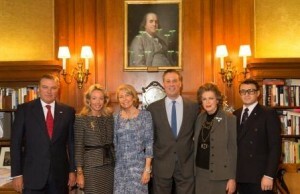 (From left to right) John Viola, the doctor Giosetta Capriati, Prince Charles and Princess Camilla of Bourbon Two Sicilies, Bill de Blasio, Mrs Edoarda Vesel Crociani and John Calvelli. H.R.H. 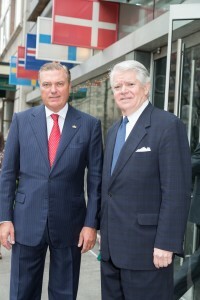 Prince Charles of Bourbon Two Sicilies, Duke of Castro, Head of the Royal House and Grand Master of the Sacred Military Constantinian Order of Saint George with Mr. Edward P. Gallagher, director of the “American Scandinavian Foundation”. 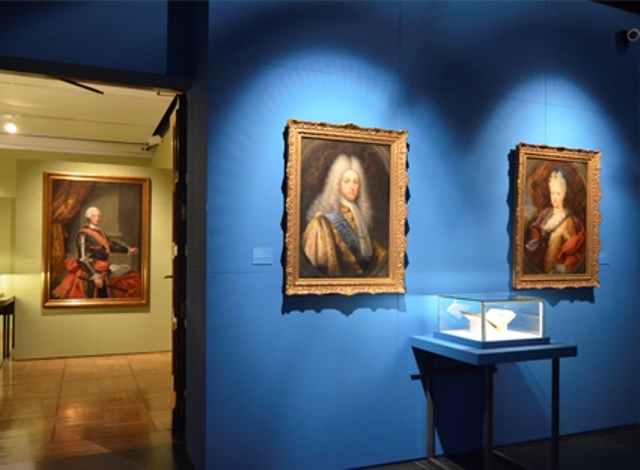 (From left to right) Giosetta Capriati, H.R.H. 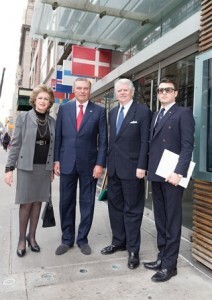 Prince Charles of Bourbon Two Sicilies, Duke of Castro, Edward P. Gallagher and John Viola. T.R.H. at the Ground Zero memorial. 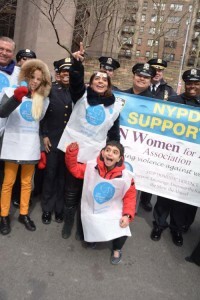 New York, 5th March 2016 – March for Peace organized by the UN Women for Peace Association. H.R.H. 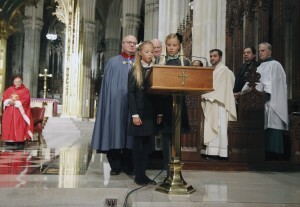 Princess Camilla of Bourbon Two Sicilies, Duchess of Castro, delivering her speech from the podium of honour. 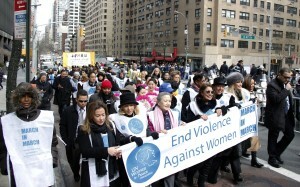 Crowd gathered in front of the United Nations. 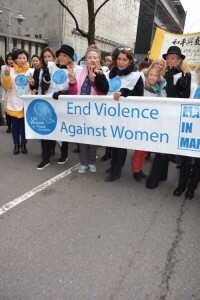 Flag carried by Mrs. BanSoon-Yaek, Muna Rihani Al-Nasser and H.R.H. Princess Camilla of Bourbon Two Sicilies, Duchess of Castro. 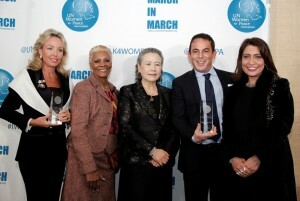 Mrs. Ban Soon- Taek, Patron of UN Women for Peace Association, Muna Rihani Al-Nasser, Chair of UNWFPA; H.R.H. 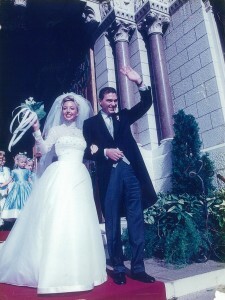 Princess Camilla of Bourbon Two Sicilies, Duchess of Castro and H.R.H. Princess Maria Chiara of Bourbon Two Sicilies, Duchess of Capri. 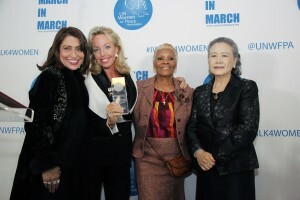 Francine LeFrak, Founder Same Sky, Mrs. Ban Soon- Taek, Patron of UN Women for Peace Association, Muna Rihani Al-Nasser, Chair of UNWFPA; H.R.H. 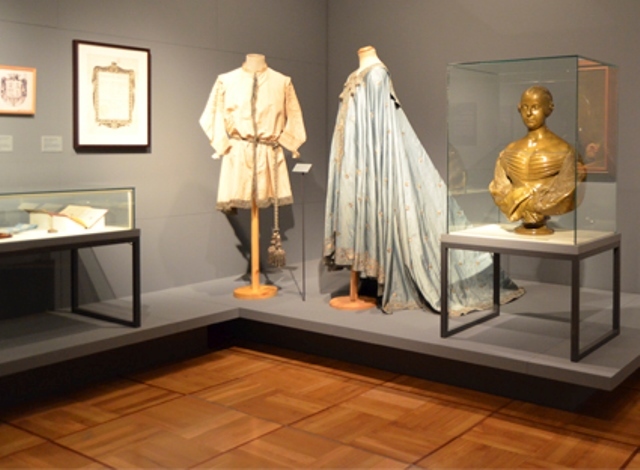 Princess Maria Carolina of Bourbon Two Sicilies, Duchess of Palermo, H.R.H. 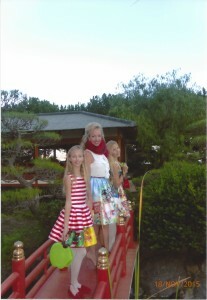 Princess Maria Chiara of Bourbon Two Sicilies, Duchess of Capri and H.R.H. Princess Camilla of Bourbon Two Sicilies, Duchess of Castro. 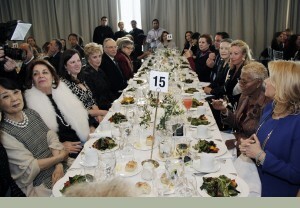 Sharon Bush and Mrs Ban Soon-Taek. 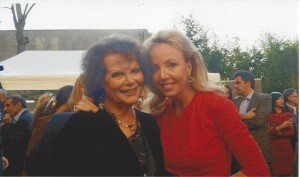 Rita Cosby and Sharon Bush. Kat Graham (center photo) actor on CW Networks Hit Show Vampire Diaries Mother on Left and Francine LeFrak Founder, Same Sky Foundation. Muna Rihani Al-Nasser and her son. H.R.H. 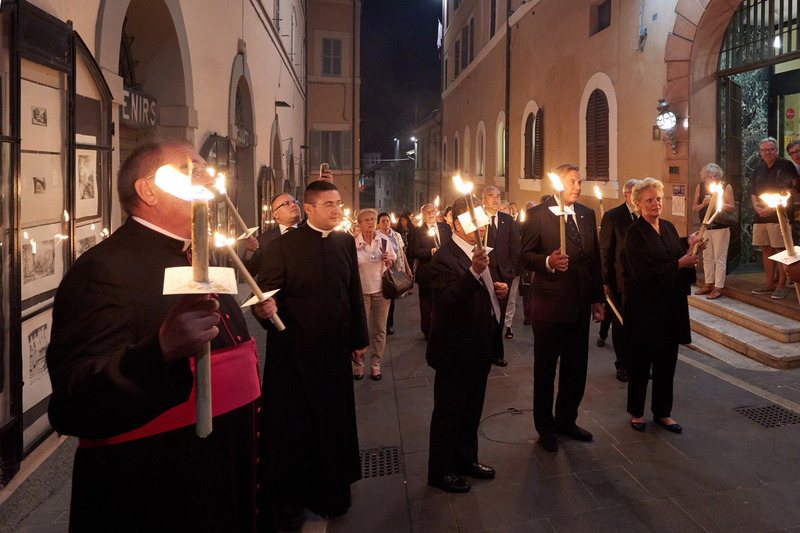 Prince Charles of Bourbon Two Sicilies, Duke of Castro, Head of the Royal House and Grand Master of the Sacred Military Constantinian Order of Saint George, H.R.H. Princess Camilla of Bourbon Two Sicilies, Duchess of Castro, H.R.H. 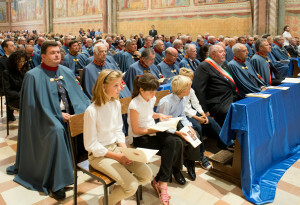 Princess Maria Carolina of Bourbon Two Sicilies, Duchess of Palermo and H.R.H. Princess Maria Chiara of Bourbon Two Sicilies, Duchess of Capri. Sharon Bush, Lisa Daftari (Fox News) and Jen Bawden. H.R.H. Prince Charles of Bourbon Two Sicilies, Duke of Castro, Head of the Royal House and Grand Master of the Sacred Military Constantinian Order of Saint George, H.R.H. 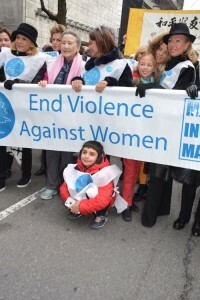 Princess Maria Carolina of Bourbon Two Sicilies, Duchess of Palermo, Muna Rihani Al-Nasser and her son. 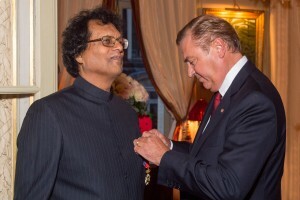 New York, 4th March 2016 – Award presented to H.R.H. 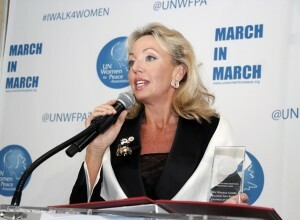 Princess Camilla of Bourbon Two Sicilies, Duchess of Castro, by the UN Women for Peace Association. H.R.H. Princess Camilla of Bourbon Two Sicilies, Duchess of Castro during her acceptance speech. 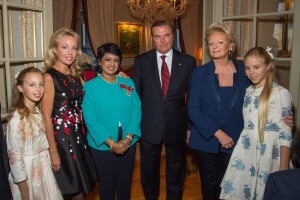 H.R.H Princess Camilla of Bourbon Two Sicilies, Duchess of Castro, H.R.H Princess Maria Carolina of Bourbon Two Sicilies, Duchess of Palermo, H.R.H Princess Maria Chiara of Bourbon Two Sicilies, Duchess of Capri, Muna Rihani Al-Nasser, Chair of UNWFPA, Mrs Ban Soon-Taek and Dionne Warwick. 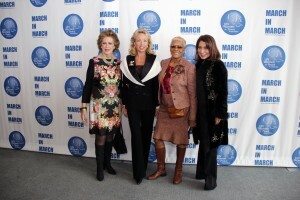 (From left to right) Ms. Kat Graham, Dionne Warwick, Miss Universe, H.R.H. 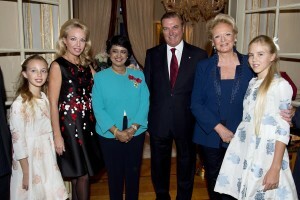 Princess Camilla of Bourbon Two Sicilies, Duchess of Castro, Mrs. BanSoon-Taek, Muna Rihani Al-Nasser and Miss U.S.A.
(From left to right) H.R.H. 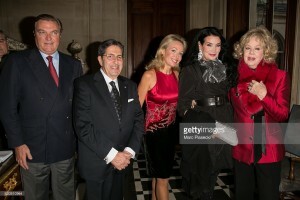 Princess Camilla of Bourbon Two Sicilies, Duchess of Castro, Dionne Warwick, Mrs Ban Soon-Taek, Mr. Eugenio Lopez Alonso and Muna Rihani Al-Nasser. H.R.H. 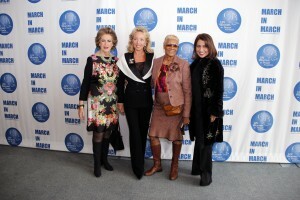 Princess Camilla of Bourbon Two Sicilies, Duchess of Castro, Dionne Warwick, Muna Rihani Al-Nasser. 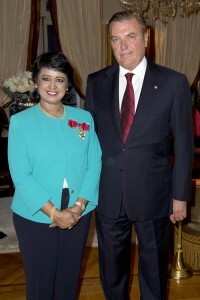 (From left to right) Muna Rihani Al-Nasser, H.R.H. 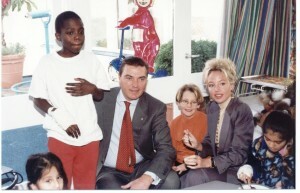 Princess Camilla of Bourbon Two Sicilies, Duchess of Castro, Dionne Warwick and Mrs Ban Soon-Taek. H.R.H. 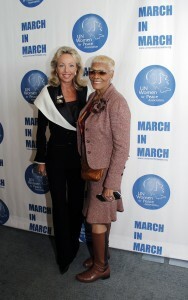 Princess Camilla of Bourbon Two Sicilies, Duchess of Castro and Dionne Warwick. H.R.H. 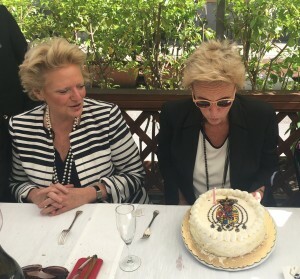 Princess Camilla of Bourbon Two Sicilies, Duchess of Castro together with Mrs. BanSoon-Taek. H.R.H. 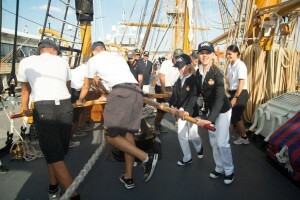 Princess Maria Carolina of Bourbon Two Sicilies, Duchess of Palermo and H.R.H. 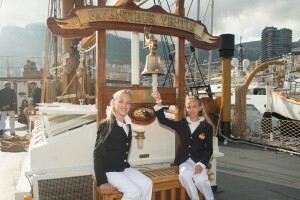 Princess Maria Chiara of Bourbon Two Sicilies, Duchess of Capri with Miss Universe. New York, 3rd March 2016 – T.R.H. 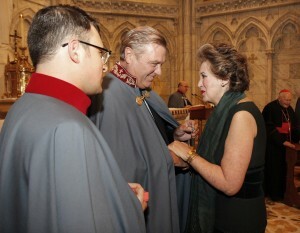 at the investiture ceremony of the new Knights and Dames at St. Patrick’s Cathedral. (From left to right) Knights: John VIOLA, Anthony O’Boyle, Michael.T.Viola, Anthony Magagniello, Charles Turano, Thomas Crane, Hon. 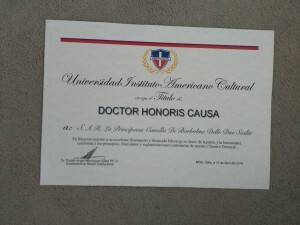 Patricia of Stacy Harrison, Dr. John Rosa, H.R.H. 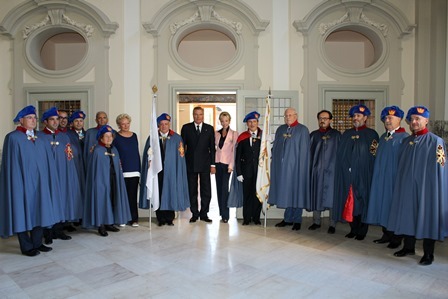 Prince Charles of Bourbon Two Sicilies, Duke of Castro, Head of the Royal House and Grand Master of the Sacred Military Constantinian Order of Saint George , H.R.H Princess Camilla of Bourbon Two Sicilies, Duchess of Castro, Gabriel Battista, H.R.H Princess Maria Carolina of Bourbon Two Sicilies, Duchess of Palermo, Prof. Joseph Sciame, H.R.H Princess Maria Chiara of Bourbon Two Sicilies, Duchess of Capri and His Eminence Msgr. 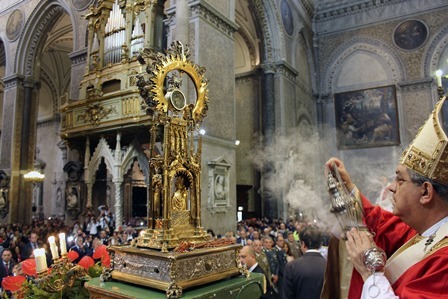 Joseph Ambrosio. H.R.H. Prince Charles of Bourbon Two Sicilies, Duke of Castro, Head of the Royal House and Grand Master of the Sacred Military Constantinian Order of Saint George addressing members of the Italo-American community. 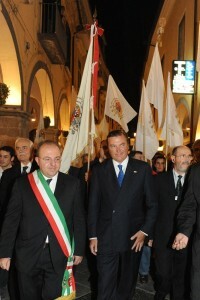 (From left to right) Pasquale Menna, Chancellor and Treasurer of the delegation for New York, John Viola, H.R.H. 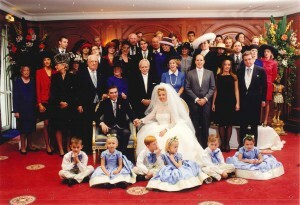 Prince Charles of Bourbon Two Sicilies, Duke of Castro, Head of the Royal House and Grand Master of the Sacred Military Constantinian Order of Saint George, H.R.H Princess Maria Chiara of Bourbon Two Sicilies, Duchess of Capri, H.R.H Princess Camilla of Bourbon Two Sicilies, Duchess of Castro and H.R.H Princess Maria Carolina of Bourbon Two Sicilies, Duchess of Palermo. T.R.H. 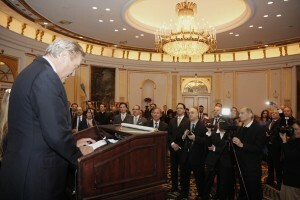 at the reception held in their honour after the Mass at St. Patrick’s Cathedral. H.R.H. 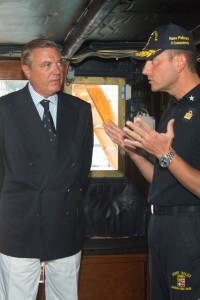 Prince Charles of Bourbon Two Sicilies, Duke of Castro, Head of the Royal House and Grand Master of the Sacred Military Constantinian Order of Saint George and H.R.H. 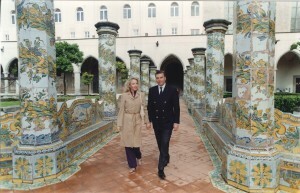 Princess Camilla of Bourbon Two Sicilies, Duchess of Castro in the majolica-tiled Cloister of Santa Chiara. H.R.H. Prince Charles of Bourbon Two Sicilies, Duke of Castro, Head of the Royal House and Grand Master of the Sacred Military Constantinian Order of Saint George and H.R.H. Princess Camilla of Bourbon Two Sicilies, Duchess of Castro in the Via dei Presepi in Naples. H.R.H. Prince Charles of Bourbon Two Sicilies, Duke of Castro, Head of the Royal House and Grand Master of the Sacred Military Constantinian Order of Saint George at Cava dé Tirreni. H.R.H. 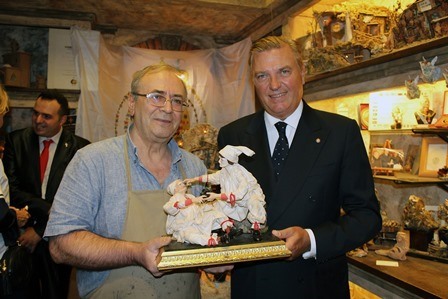 Prince Charles of Bourbon Two Sicilies, Duke of Castro, Head of the Royal House and Grand Master of the Sacred Military Constantinian Order of Saint George and H.R.H. 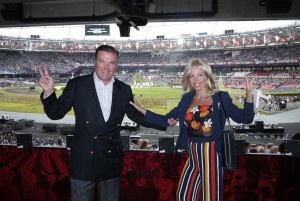 Princess Camilla of Bourbon Two Sicilies, Duchess of Castro at the opening of the London Olympic Games. 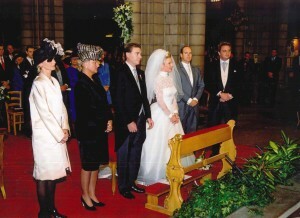 Wedding of Their Royal Highnesses at the Cathedral in Monaco. H.R.H. 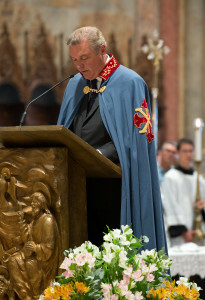 Prince Charles of Bourbon Two Sicilies, Duke of Castro, Head of the Royal House and Grand Master of the Sacred Military Constantinian Order of Saint George, H.R.H. Princess Camilla of Bourbon Two Sicilies, Duchess of Castro, H.R.H. 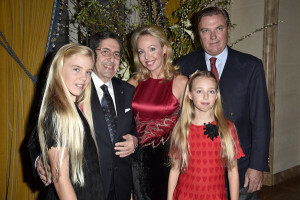 Princess Maria Carolina of Bourbon Two Sicilies, Duchess of Palermo and H.R.H. 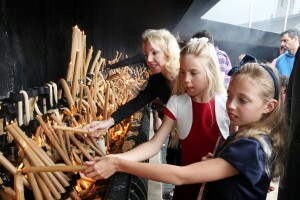 Princess Maria Chiara of Bourbon Two Sicilies, Duchess of Capri at the Sanctuary in Fatima. H.R.H. 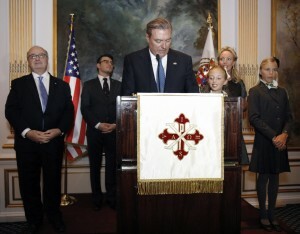 Prince Charles of Bourbon Two Sicilies, Duke of Castro, Head of the Royal House and Grand Master of the Sacred Military Constantinian Order of Saint George, H.R.H. Princess Camilla of Bourbon Two Sicilies, Duchess of Castro, H.R.H. 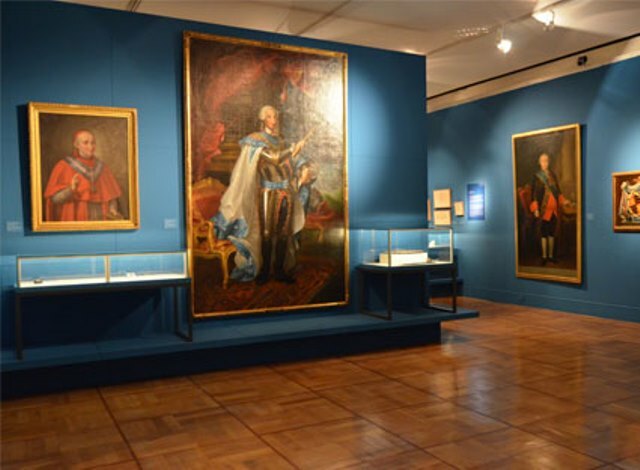 Princess Maria Carolina of Bourbon Two Sicilies, Duchess of Palermo and H.R.H. 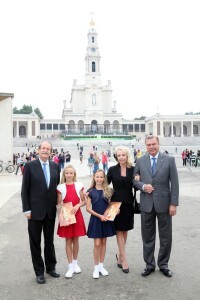 Princess Maria Chiara of Bourbon Two Sicilies, Duchess of Capri at the Sanctuary in Fatima with H.R.H. 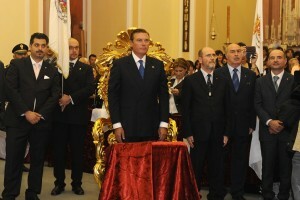 Duke of Bragança. H.R.H. 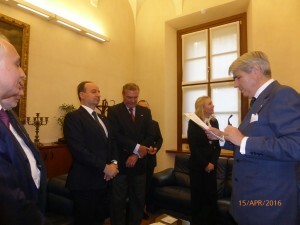 Prince Charles of Bourbon Two Sicilies, Duke of Castro, Head of the Royal House and Grand Master of the Sacred Military Constantinian Order of Saint George and H.R.H. 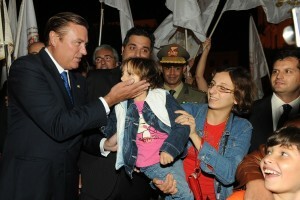 Princess Camilla of Bourbon Two Sicilies, Duchess of Castro in the streets of Sanaa, capital of Yemen. H.R.H. 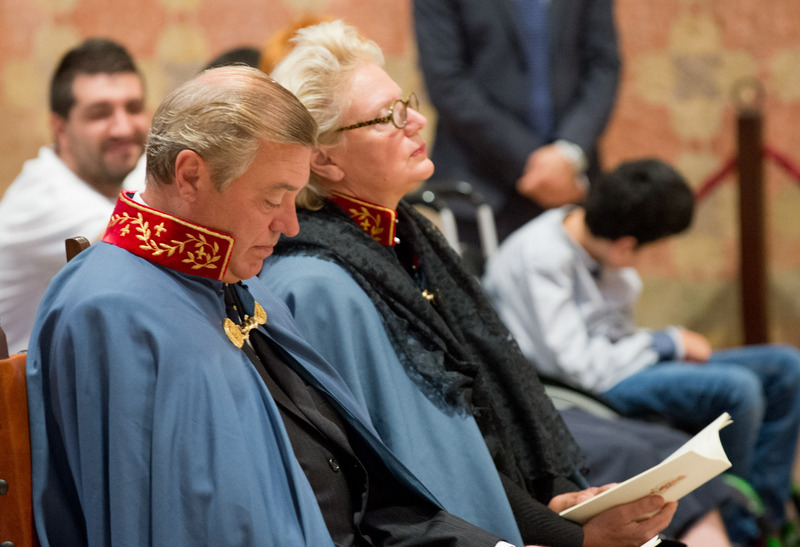 Prince Charles of Bourbon Two Sicilies, Duke of Castro, Head of the Royal House and Grand Master of the Sacred Military Constantinian Order of Saint George and H.R.H. 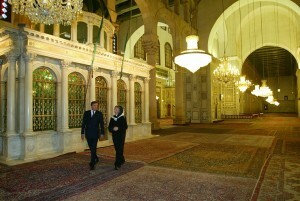 Princess Camilla of Bourbon Two Sicilies, Duchess of Castro to Damascus, in the Umayyad Mosque. H.R.H. 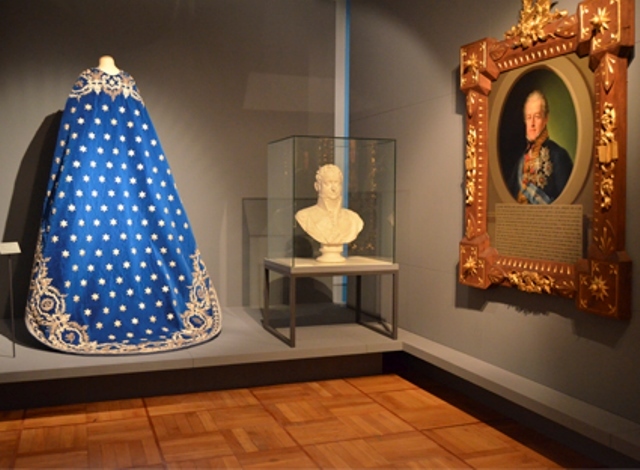 Prince Charles of Bourbon Two Sicilies, Duke of Castro, Head of the Royal House and Grand Master of the Sacred Military Constantinian Order of Saint George. H.R.H. 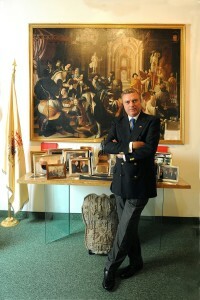 Prince Charles of Bourbon Two Sicilies, Duke of Castro, Head of the Royal House and Grand Master of the Sacred Military Constantinian Order of Saint George, H.R.H. Princess Camilla of Bourbon Two Sicilies, Duchess of Castro, H.R.H. Princess Maria Carolina of Bourbon Two Sicilies, Duchess of Palermo and H.R.H. 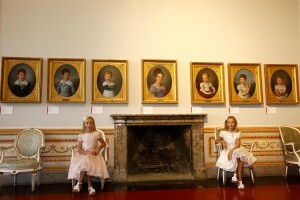 Princess Maria Chiara of Bourbon Two Sicilies, Duchess of Capri at the Royal Palace of Caserta. H.R.H. 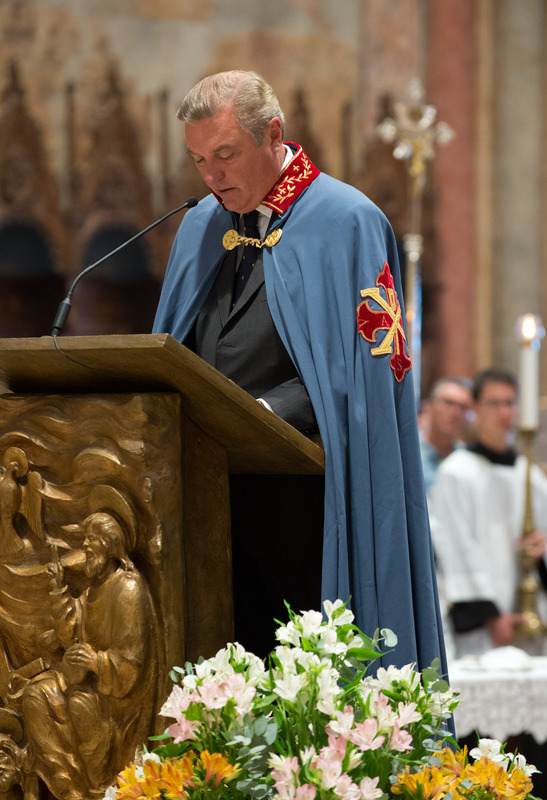 Prince Charles of Bourbon Two Sicilies, Duke of Castro, Head of the Royal House and Grand Master of the Sacred Military Constantinian Order of Saint George official visit at the Hungarian Parliament. H.R.H. 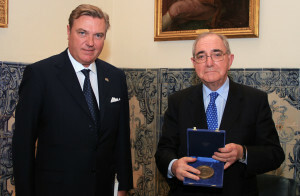 Prince Charles of Bourbon Two Sicilies, Duke of Castro, Head of the Royal House and Grand Master of the Sacred Military Constantinian Order of Saint George with H.E. 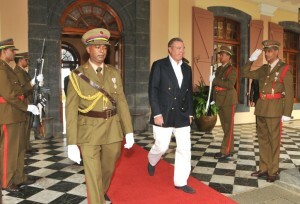 Sir A. Bailey and President of the Commonwealth of Dominica. H.R.H. 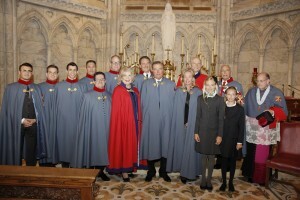 Prince Charles of Bourbon Two Sicilies, Duke of Castro, Head of the Royal House and Grand Master of the Sacred Military Constantinian Order of Saint George with Their Royal Highnesses the Dukes of Bragança. H.R.H. 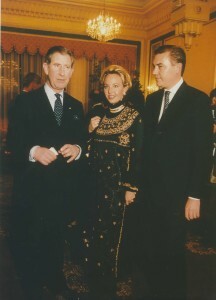 Prince Charles of Bourbon Two Sicilies, Duke of Castro, Head of the Royal House and Grand Master of the Sacred Military Constantinian Order of Saint George with Rui Machete, Minister of Foreign Affairs of Portugal. H.R.H. 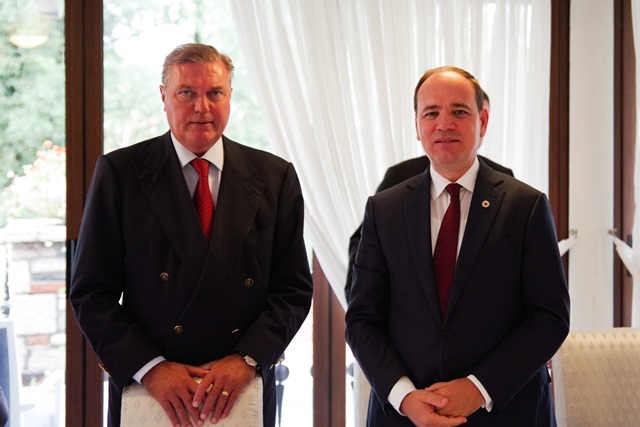 Prince Charles of Bourbon Two Sicilies, Duke of Castro, Head of the Royal House and Grand Master of the Sacred Military Constantinian Order of Saint George with Franco Frattini, Minister of Foreign Affairs. H.R.H. 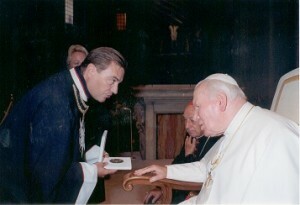 Prince Charles of Bourbon Two Sicilies, Duke of Castro, Head of the Royal House and Grand Master of the Sacred Military Constantinian Order of Saint George with Jean Paul Belmondo. H.R.H. 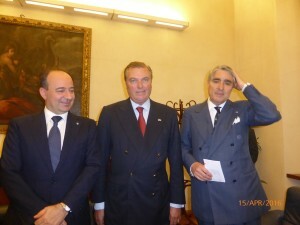 Prince Charles of Bourbon Two Sicilies, Duke of Castro, Head of the Royal House and Grand Master of the Sacred Military Constantinian Order of Saint George with Giorgio Napolitano President of the Republic of Italy. H.R.H. 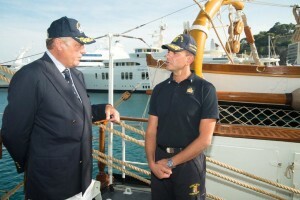 Prince Charles of Bourbon Two Sicilies, Duke of Castro, Head of the Royal House and Grand Master of the Sacred Military Constantinian Order of Saint George and H.R.H. 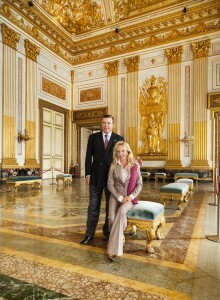 Princess Camilla of Bourbon Two Sicilies, Duchess of Castro with H.R.H. 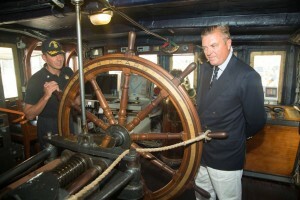 Prince Charles of England. H.R.H. 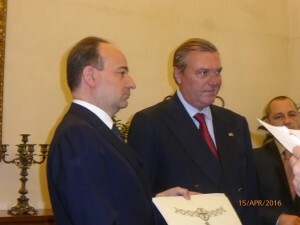 Prince Charles of Bourbon Two Sicilies, Duke of Castro, Head of the Royal House and Grand Master of the Sacred Military Constantinian Order of Saint George and H.R.H. 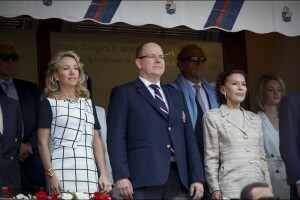 Princess Camilla of Bourbon Two Sicilies, Duchess of Castro with His Excellency Archbishop Desmond Tutu and His Serene Highness Prince Albert II of Monaco. H.R.H. 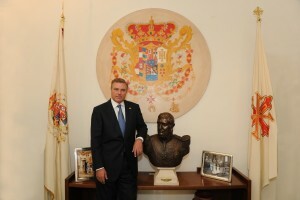 Prince Charles of Bourbon Two Sicilies, Duke of Castro, Head of the Royal House and Grand Master of the Sacred Military Constantinian Order of Saint George and H.R.H. 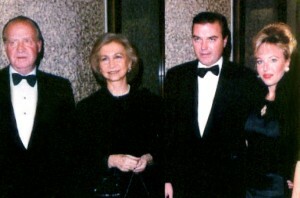 Princess Camilla of Bourbon Two Sicilies, Duchess of Castro with the Royal Family of Spain. H.R.H. 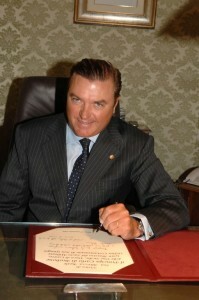 Prince Charles of Bourbon Two Sicilies, Duke of Castro, Head of the Royal House and Grand Master of the Sacred Military Constantinian Order of Saint George and H.R.H. 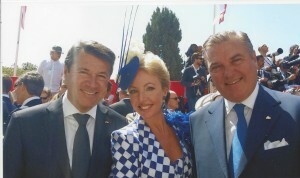 Princess Camilla of Bourbon Two Sicilies, Duchess of Castro with H.E. 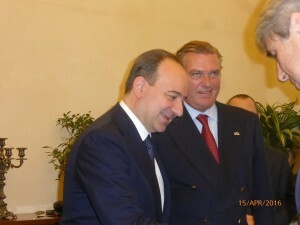 Emile Lahoud, President of Lebanon. H.R.H. 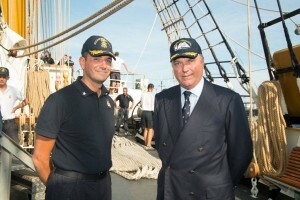 Prince Charles of Bourbon Two Sicilies, Duke of Castro, Head of the Royal House and Grand Master of the Sacred Military Constantinian Order of Saint George and H.R.H. 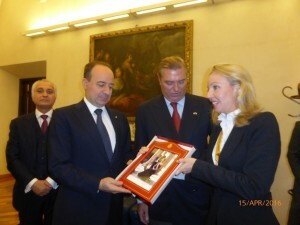 Princess Camilla of Bourbon Two Sicilies, Duchess of Castro with H.E. 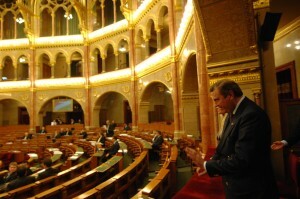 Pal Schmitt, President of the Republic of Hungary. H.R.H. 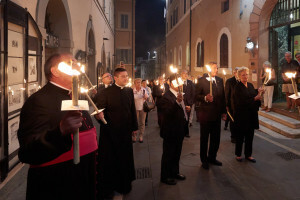 Prince Charles of Bourbon Two Sicilies, Duke of Castro, Head of the Royal House and Grand Master of the Sacred Military Constantinian Order of Saint George and H.R.H. 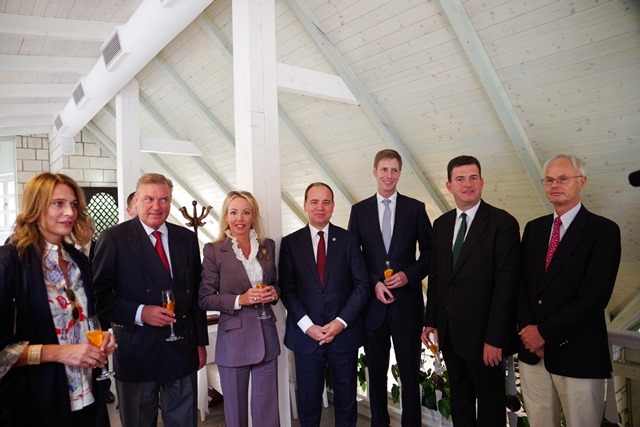 Princess Camilla of Bourbon Two Sicilies, Duchess of Castro with the Civilian, Military and Religious Authorities of Antigua. H.R.H. 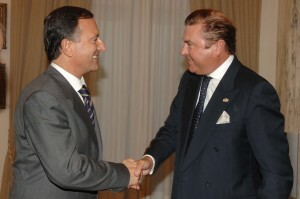 Prince Charles of Bourbon Two Sicilies, Duke of Castro, Head of the Royal House and Grand Master of the Sacred Military Constantinian Order of Saint George with H.E. 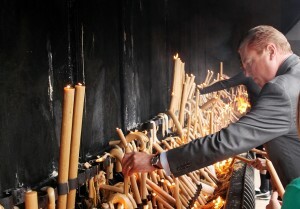 Sali Berisha. H.R.H. 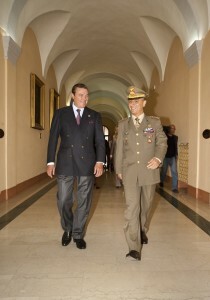 Prince Charles of Bourbon Two Sicilies, Duke of Castro, Head of the Royal House and Grand Master of the Sacred Military Constantinian Order of Saint George with Col. Bernardo Barbarotto, Commander of Nunziatella. H.R.H. 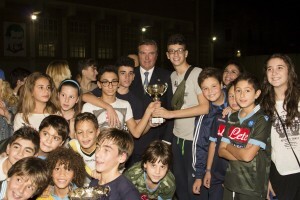 Prince Charles of Bourbon Two Sicilies, Duke of Castro, Head of the Royal House and Grand Master of the Sacred Military Constantinian Order of Saint George with the Cadets of the Nunziatella Military School. H.R.H. 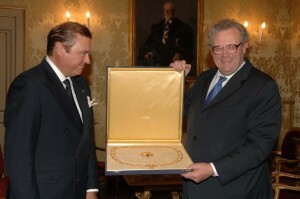 Prince Charles of Bourbon Two Sicilies, Duke of Castro, Head of the Royal House and Grand Master of the Sacred Military Constantinian Order of Saint George with the Grand Master of the Order of Malta. H.R.H. 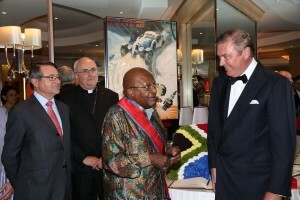 Prince Charles of Bourbon Two Sicilies, Duke of Castro, Head of the Royal House and Grand Master of the Sacred Military Constantinian Order of Saint George with His Excellency Archbishop Desmond Tutu. H.R.H. 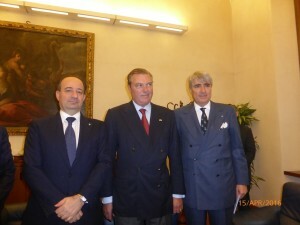 Prince Charles of Bourbon Two Sicilies, Duke of Castro, Head of the Royal House and Grand Master of the Sacred Military Constantinian Order of Saint George and H.R.H. 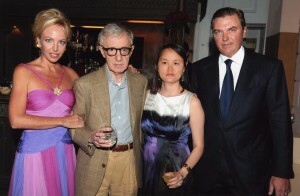 Princess Camilla of Bourbon Two Sicilies, Duchess of Castro with Woody Allen and Soon-Yi Previn. H.R.H. 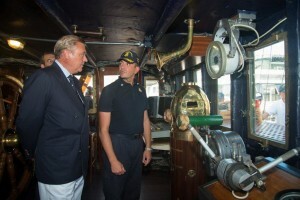 Prince Charles of Bourbon Two Sicilies, Duke of Castro, Head of the Royal House and Grand Master of the Sacred Military Constantinian Order of Saint George and H.R.H. 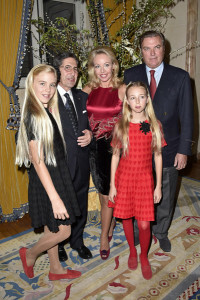 Princess Camilla of Bourbon Two Sicilies, Duchess of Castro with Master Riccardo Muti. H.R.H. 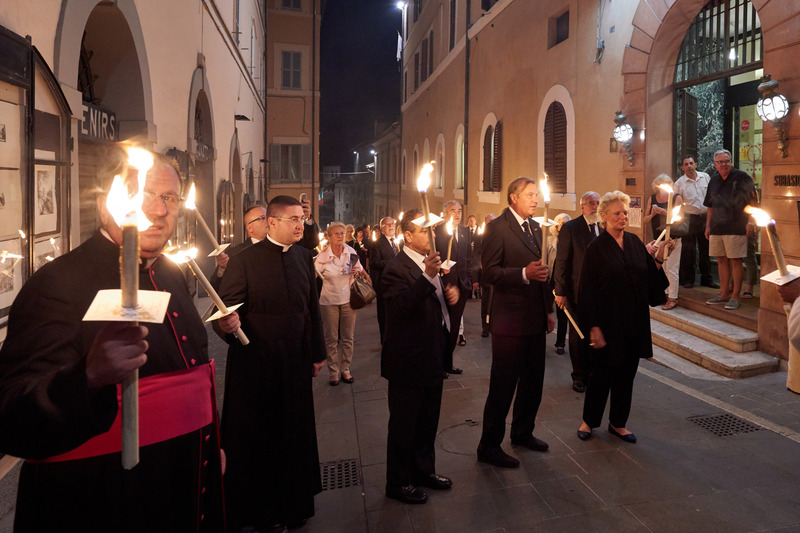 Prince Charles of Bourbon Two Sicilies, Duke of Castro, Head of the Royal House and Grand Master of the Sacred Military Constantinian Order of Saint George and H.R.H. 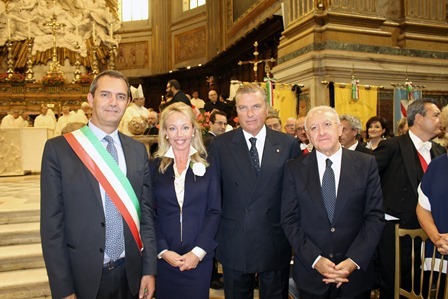 Princess Camilla of Bourbon Two Sicilies, Duchess of Castro with His Eminence Cardinal Renato Raffaele Martino and His Excellency Mons. 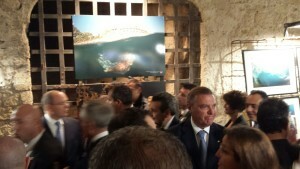 Antonio Mennini. H.R.H. 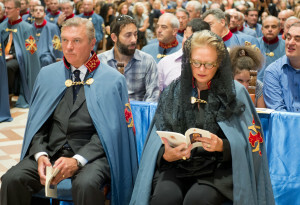 Prince Charles of Bourbon Two Sicilies, Duke of Castro, Head of the Royal House and Grand Master of the Sacred Military Constantinian Order of Saint George and H.R.H. Princess Camilla of Bourbon Two Sicilies, Duchess of Castro official visit to Hungary. H.R.H. 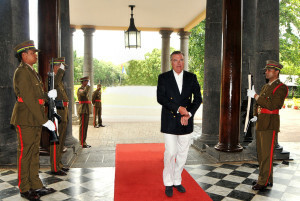 Prince Charles of Bourbon Two Sicilies, Duke of Castro, Head of the Royal House and Grand Master of the Sacred Military Constantinian Order of Saint George and H.R.H. Princess Camilla of Bourbon Two Sicilies, Duchess of Castro. H.R.H. 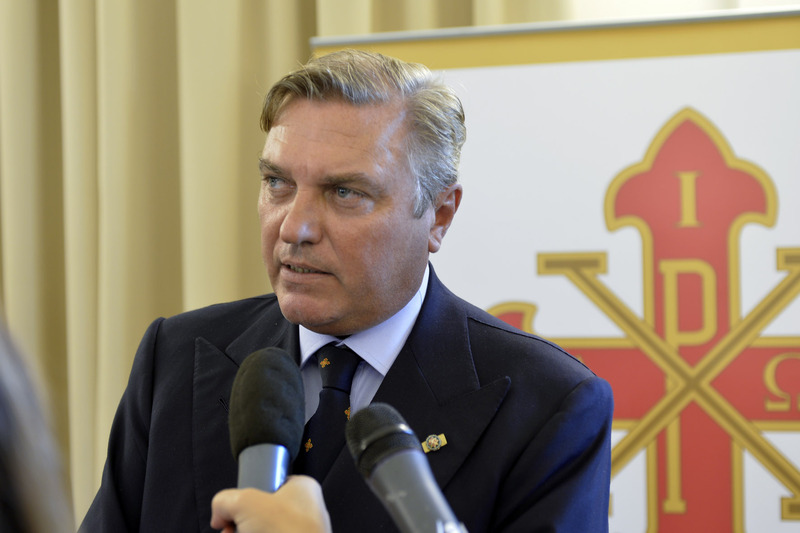 Prince Charles of Bourbon Two Sicilies, Duke of Castro, Head of the Royal House and Grand Master of the Sacred Military Constantinian Order of Saint George, H.R.H. Princess Camilla of Bourbon Two Sicilies, Duchess of Castro, H.R.H. 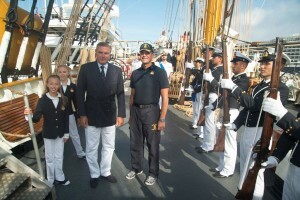 Princess Maria Carolina of Bourbon Two Sicilies, Duchess of Palermo and H.R.H. 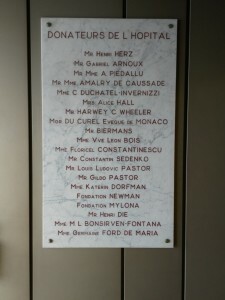 Princess Maria Chiara of Bourbon Two Sicilies, Duchess of Capri in Paris. H.R.H. 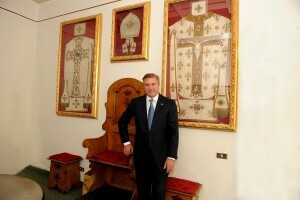 Prince Charles of Bourbon Two Sicilies, Duke of Castro, Head of the Royal House and Grand Master of the Sacred Military Constantinian Order of Saint George and H.R.H. 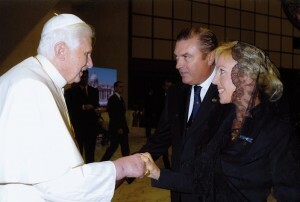 Princess Camilla of Bourbon Two Sicilies, Duchess of Castro with Pope Benedict XVI. H.R.H. 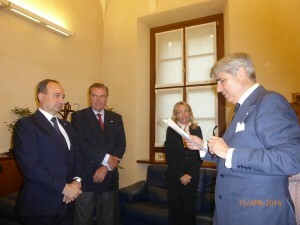 Prince Charles of Bourbon Two Sicilies, Duke of Castro, Head of the Royal House and Grand Master of the Sacred Military Constantinian Order of Saint George and H.R.H. 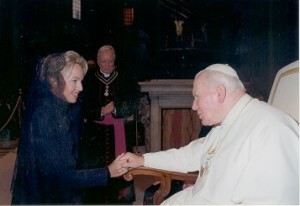 Princess Camilla of Bourbon Two Sicilies, Duchess of Castro with Saint John Paul II. H.R.H. 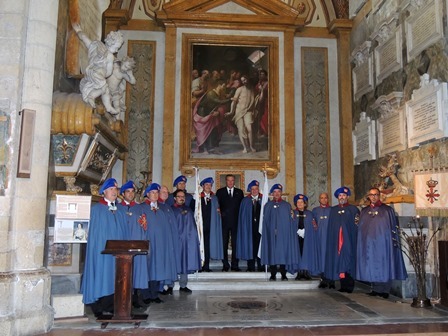 Prince Charles of Bourbon Two Sicilies, Duke of Castro, Head of the Royal House and Grand Master of the Sacred Military Constantinian Order of Saint George visiting the “Don Bosco” Oratory in Naples. H.R.H. 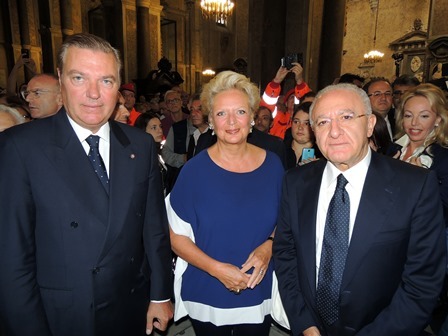 Princess Camilla of Bourbon Two Sicilies, Duchess of Castro visiting Naples. H.R.H. Prince Charles of Bourbon Two Sicilies, Duke of Castro, Head of the Royal House and Grand Master of the Sacred Military Constantinian Order of Saint George and H.R.H. 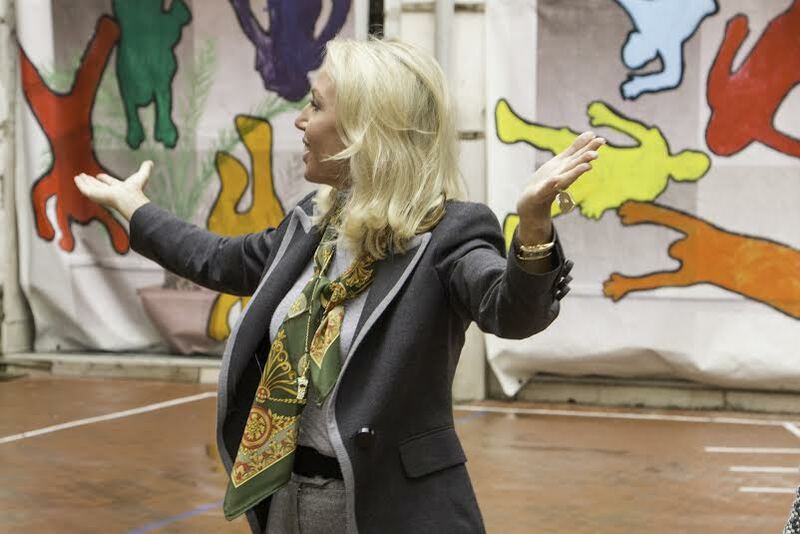 Princess Camilla of Bourbon Two Sicilies, Duchess of Castro visiting a children’s institute. H.R.H. Prince Charles of Bourbon Two Sicilies, Duke of Castro, Head of the Royal House and Grand Master of the Sacred Military Constantinian Order of Saint George at the inauguration of the « Giardino Sensoriale » for Alzheimer patients. H.R.H. 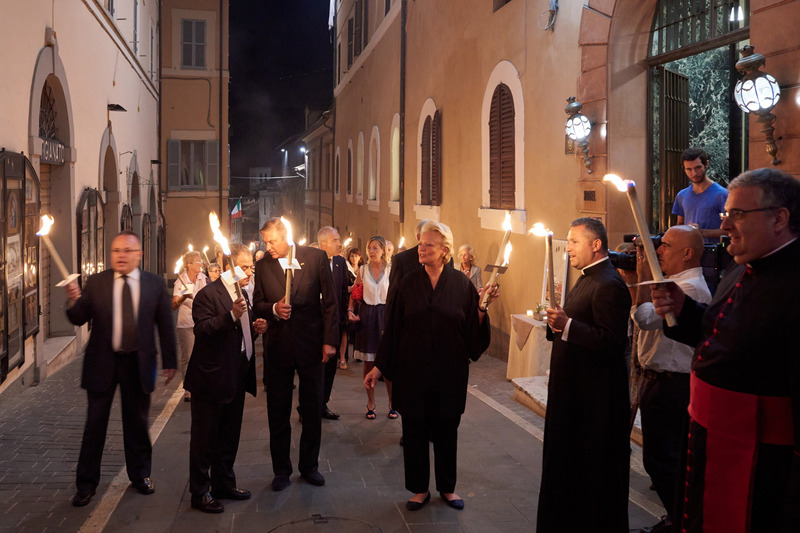 Prince Charles of Bourbon Two Sicilies, Duke of Castro, Head of the Royal House and Grand Master of the Sacred Military Constantinian Order of Saint George and H.R.H. 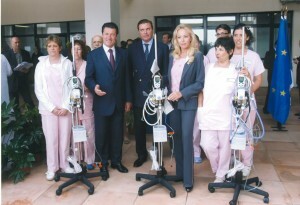 Princess Camilla of Bourbon Two Sicilies, Duchess of Castro hospital in Nice with Mayor Christian Estrosi, where medical equipment was donated. H.R.H. 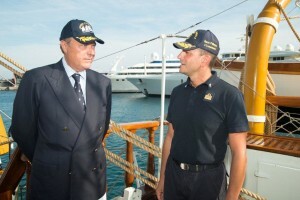 Prince Charles of Bourbon Two Sicilies, Duke of Castro, Head of the Royal House and Grand Master of the Sacred Military Constantinian Order of Saint George and H.R.H. 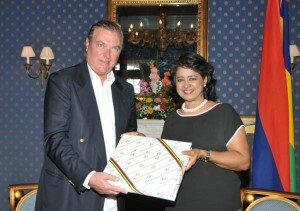 Princess Camilla of Bourbon Two Sicilies, Duchess of Castro with Prof. Federico Vigevano, chief of staff of the “Bambino Gesù” Hospital in Rome where medical equipment was donated. H.R.H. 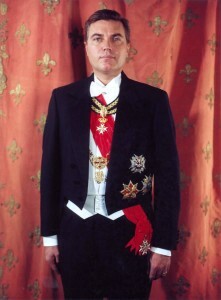 Prince Charles of Bourbon Two Sicilies, Duke of Castro, Head of the Royal House and Grand Master of the Sacred Military Constantinian Order of Saint George, H.R.H. Princess Camilla of Bourbon Two Sicilies, Duchess of Castro, H.R.H. Princess Maria Carolina of Bourbon Two Sicilies, Duchess of Palermo and H.R.H. 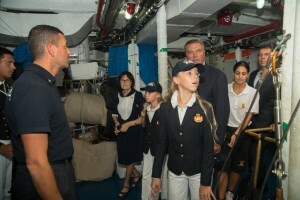 Princess Maria Chiara of Bourbon Two Sicilies, Duchess of Capri visiting the “Federico Ozanam” Institute in Naples. 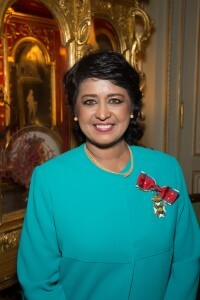 Presidential Palace (Mauritius), 8th January, 2016 – H.R.H. 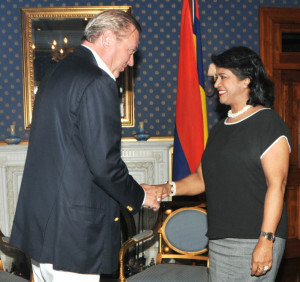 Prince Charles of Bourbon Two Sicilies, Duke of Castro, Grand Master of the Sacred Military Constantinian Order of Saint George and Head of the Royal House, bestowed the Royal Order of Francis I, with the rank of Dame Knight Grand Cross, upon Her Excellency the President of the Republic of Mauritius, Ameenah Gurib-Fakim. 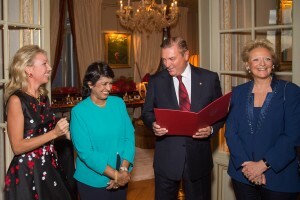 Monaco, 3 December 2015. 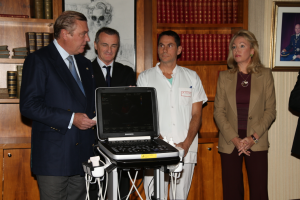 In the presence of HRH The Prince Charles of Bourbon-Two Sicilies, Duke of Castro, Head of the Royal House and Grand Master of the Sacred Military Constantinian Order of St George, the Monegasque Association of the Constantinian Order has donated a portable ultrasound diagnostic machine to the A&E Unit of the Monaco hospital centre, “Centre Hospitalier ‘Princess Grace’”. 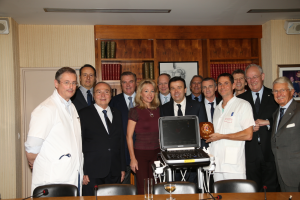 Pictured (from left to right): Doctor Christophe Robino, Head of Nephrology / Hemodialysis; Government Counsellor Stephane Valeri; the Minister of State Michel Roger; HRH Duchess of Castro; Head of Emergencies Professor Yann-Eric Claessens Service; Hospital Director Patrick Bini; HRH Duke of Castro; Doctor Marc Faraggi Cardiologist hospital and Stefano Herman, Personal Assistant to Their Royal Highnesses The Duke and Duchess of Castro. 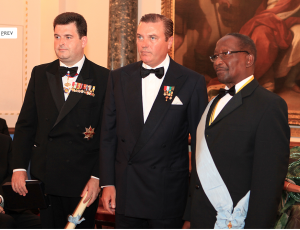 Pictured (from left to right): HRH Duchess of Castro; Head of Emergencies Professor Yann-Eric Claessens Service; Patrick Bini and HRH Duke of Castro. 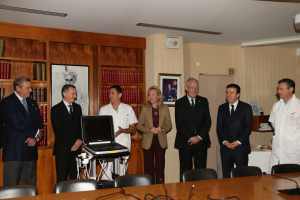 Pictured (from left to right): Doctor Christophe Robino, Head of Nephrology / Hemodialysis; Government Counsellor Stephane Valeri; the Minister of State Michel Roger; HRH Duchess of Castro; Head of Emergencies Professor Yann-Eric Claessens Service; Hospital Director Patrick Bini and HRH Duke of Castro. 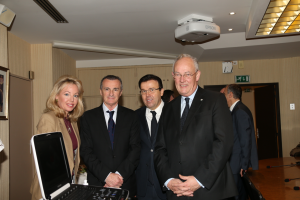 Pictured (from left to right): the Doctor Philippe Brunner, Head of Department Interventional radiology; Government Counsellor Stephane Valeri; Patrick Bini and HRH Duchess of Castro. 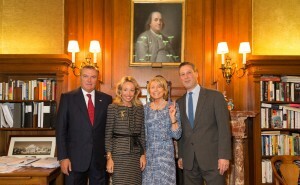 Pictured (from left to right): Prof. E.Y. 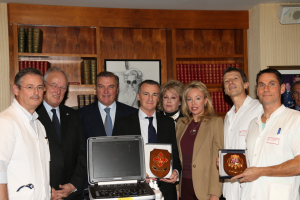 Claessens; the Doctor Philippe Brunner, Head of Department Interventional radiology; HRH Duchess of Castro; Ms Edoarda Crociani; Patrick Bini; HRH Duke of Castro; the Minister of State and the Doctor C. Robino. 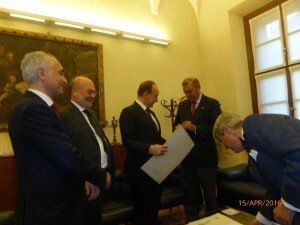 Pictured (from left to right): Count Niccolò Caissotti di Chiusano, President of the Monegasque Association of the Constantinian Order of St George; the Minister of State Michel Roger; Mr Brunner and Claessens; Hospital Director Patrick Bini; a Knight of the Order; Government Counsellor Stephane Valeri; another Knight of the Order; Dukes of Castro; Dr. Maurice de l’Arbre; Federico Limiti, Treasurer of the Monegasque Association of the Constantinian Order of St George and the Doctor. 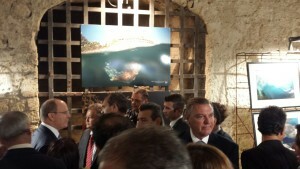 Robino. 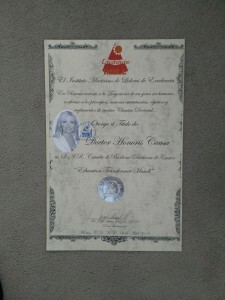 China, 18 November 2015. 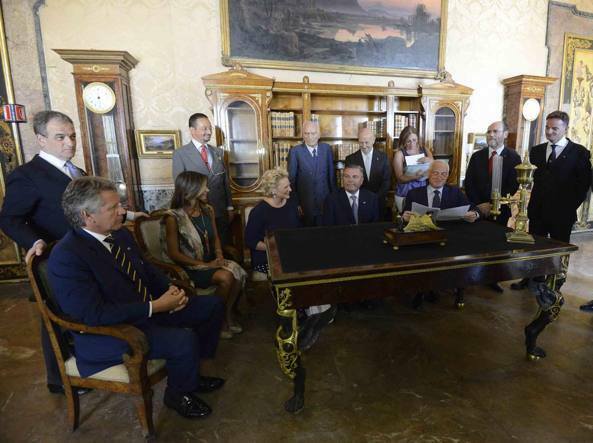 HRH The Princess Camilla of Bourbon-Two Sicilies, Duchess of Castro, HRH The Princess Maria Carolina of Bourbon-Two Sicilies, Duchess of Palermo and HRH The Princess Maria Chiara of Bourbon-Two Sicilies, Duchess of Capri. 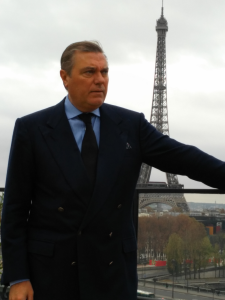 HRH The Prince Charles of Bourbon-Two Sicilies, Duke of Castro, Head of the Royal House and Grand Master of the Sacred Military Constantinian Order of St George, joins crowds in Paris near the Eiffel Tower, a national symbol of France. 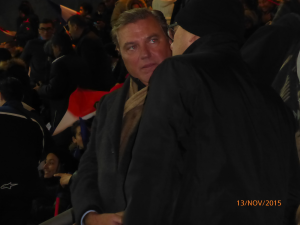 Paris, 13 November 2015. HRH The Prince Charles of Bourbon-Two Sicilies, Duke of Castro, Head of the Royal House and Grand Master of the Sacred Military Constantinian Order of St George, pays visit to Paris attack site, the ‘Stade de France’, together with the General of the French Gendarmerie, David Galtier. 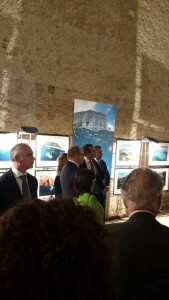 28 October 2015 – HRH The Prince Charles of Bourbon-Two Sicilies, Duke of Castro, Head of the Royal House and Grand Master of the Sacred Military Constantinian Order of St George, and HSH The Prince Albert II of Monaco, visit the photo exhibition “MEDITERRA” by Monaco photographer Mr Olivier Jude, in Naples. 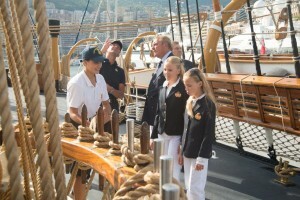 HRH The Prince Charles of Bourbon-Two Sicilies, Duke of Castro, Head of the Royal House and Grand Master of the Constantinian Order, HRH The Princess Maria Carolina of Bourbon-Two Sicilies, Duchess of Palermo, and HRH The Princess Maria Chiara of Bourbon-Two Sicilies, Duchess of Capri, take tour of Captain Belfiore’s ship ‘Palinuro’. 18-20 September 2015 – The international pilgrimage to Assisi ended on Sunday 20 September, with the solemn Mass celebrated by the Cardinal Renato Raffaele Martino, Grand Prior of the Order, in the wonderful setting of the Upper Basilica, frescoed by Giotto. 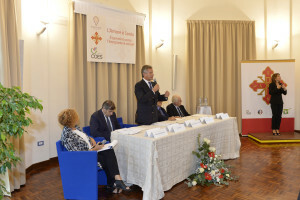 18-20 September 2015 – After delivering the equipment, blessed by the bishop of Assisi, His Eminence Monsignor Domenico Sorrentino, a discussion called “Love is deaf – the Journey towards social integration” took place in the auditorium of the Institute. 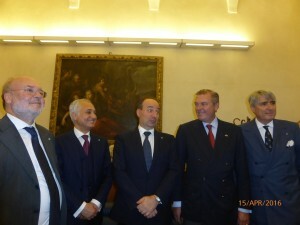 The meeting started with a greeting from the President of the Seraphic, Francesca di Maolo, lawyer, and from H.R.H. 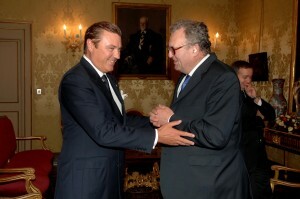 the Prince and Grand Master Charles of Bourbon-Two Sicilies. 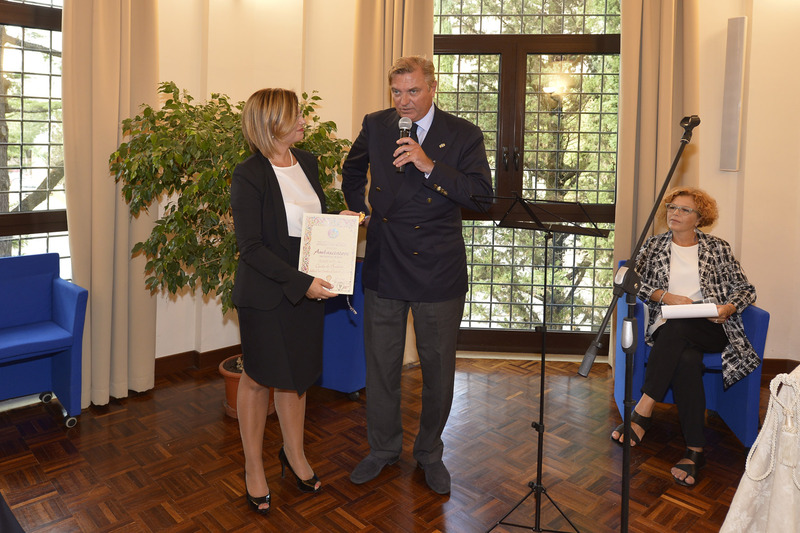 The President of the Seraphic, Francesca di Maolo, lawyer, awarded H.R.H. 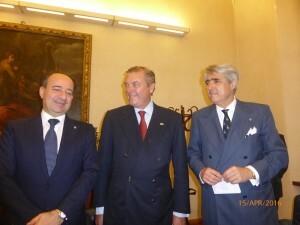 Prince Charles of Bourbon-Two Sicilies, Duke of Castro and Head of the Royal House, “Ambassador to the World of the Seraphic Institute of Assisi”. 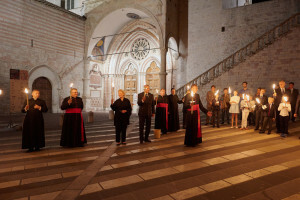 18-20 September 2015 – In conjunction with the start of the Apostolic Journey of the Holy Father to Cuba, the Constantinian Knights and Ladies gathered in Assisi, led by H.R.H. 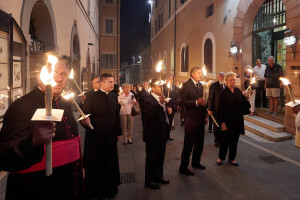 Prince Charles of Bourbon-Two Sicilies, Duke of Castro, Grand Master of the Constantinian Order and Head of the Royal House, to pay tribute to Pope Francis and to his constant striving for world peace, with an evocative torchlight procession through the city’s streets to the Basilica of St. Francis. H.R.H. 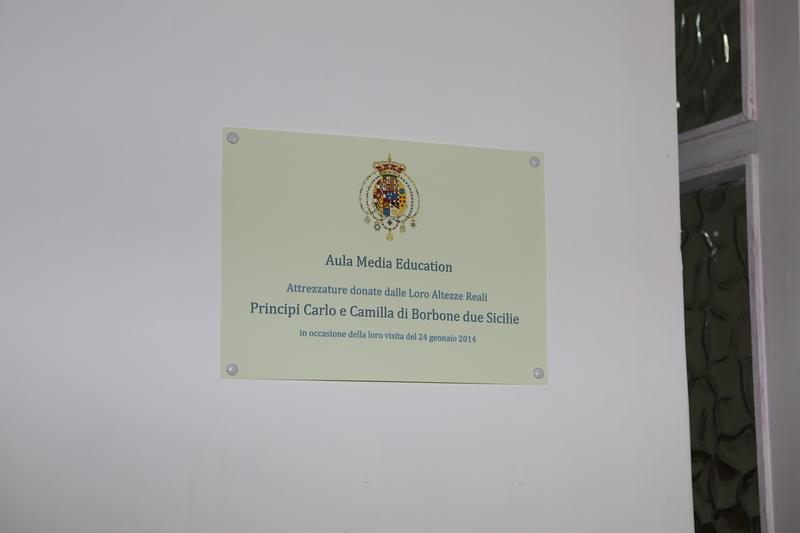 Princess Camilla of Bourbon-Two Sicilies, Duchess of Castro, H.R.H. 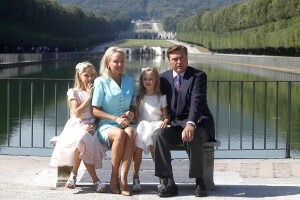 Princess Maria Carolina of Bourbon-Two Sicilies, Duchess of Palermo and H.R.H. 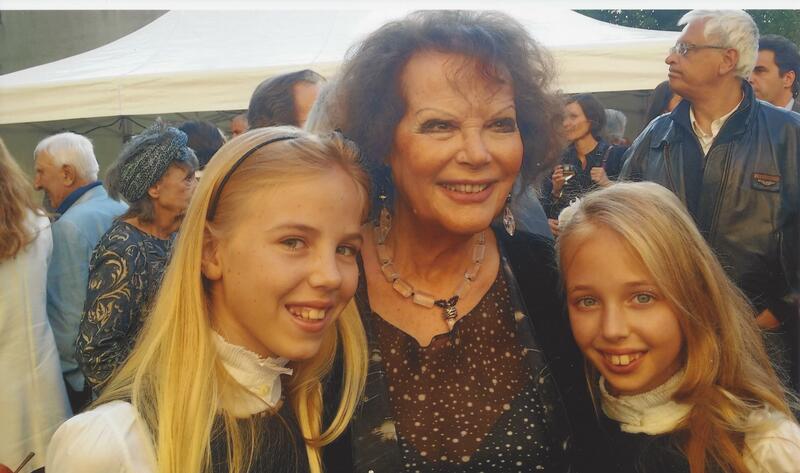 Princess Maria Chiara of Bourbon-Two Sicilies, Duchess of Capri, with Claudia Cardinale. H.R.H. Princess Camilla of Bourbon-Two Sicilies, Duchess of Castro, at the birthday of Jean Paul Belmondo. H.R.H. 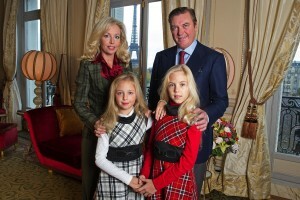 Princess Camilla of Bourbon-Two Sicilies, Duchess of Castro and H.R.H. 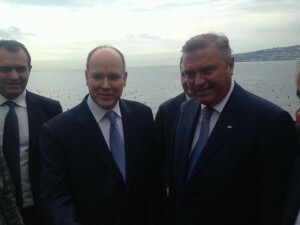 Prince Charles of Bourbon-Two Sicilies, Duke of Castro with Christian Estrosi, Mayor of Nice. H.R.H. 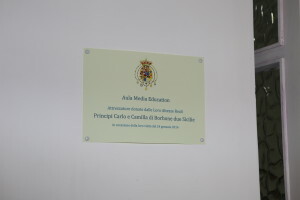 Princess Camilla of Bourbon-Two Sicilies during her visit at the Federico Ozanam Institute gives computers for the equipment of the multimedia room. 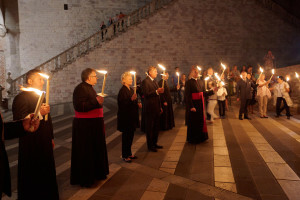 Monaco, May 2015. H.R.H. 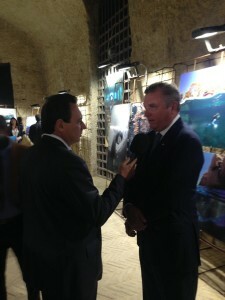 Princess Camilla of Bourbon-Two Sicilies at the fundraising evening “On Sharks & Humanity”. 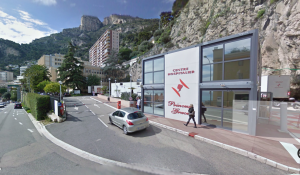 December 2014, Monaco. Princess Camilla of Bourbon-Two Sicilies with Princess Adelaide of Orleans (on the right) and Princess de Broglie (on the left) takes part in the “Prix des Princes”. December 2014, Brussels. 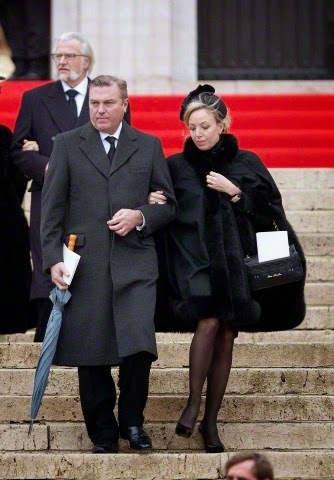 Princess Camilla of Bourbon and Prince Charles of Bourbon-Two Sicilies paid tribute at the funeral of Queen Fabiola of Belgium. 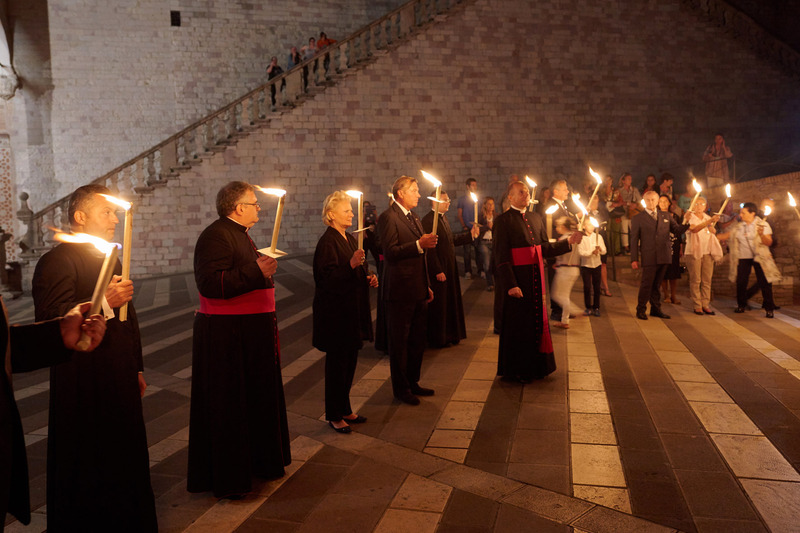 November 2014, Monaco. Princess Camilla of Bourbon and Prince Charles of Bourbon-Two Sicilies attend the Fête Nationale Monégasque. 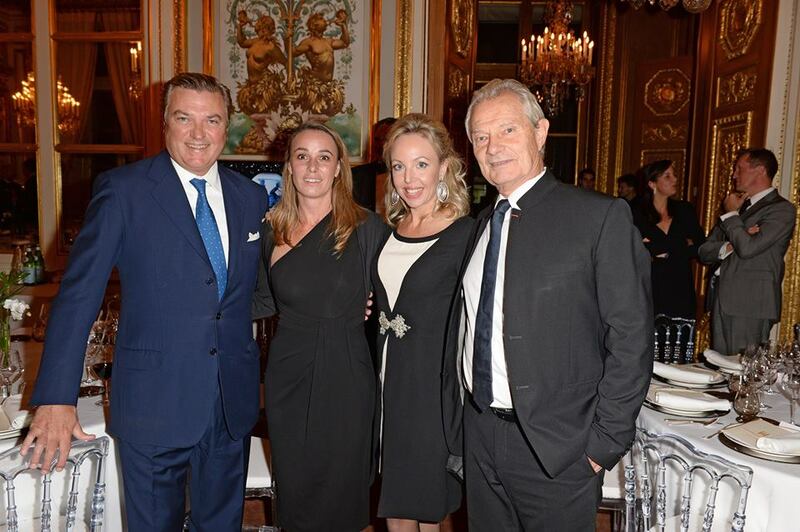 Prince Charles and the Princess Camilla of Bourbon-Two Sicilies, Duchess of Castro with Jacques and Sophie Rougerie. 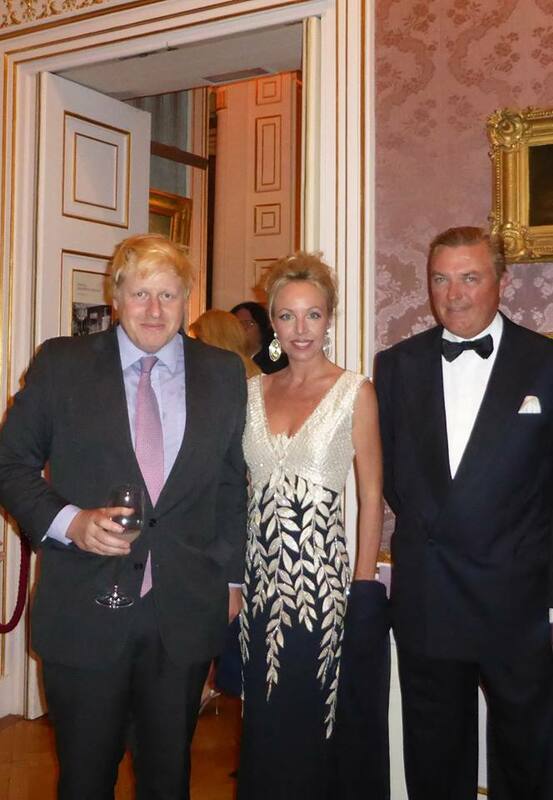 Il Principe Carlo e la Principessa Camilla di Borbone delle Due Sicilie, con Mr Boris Johnson, Mayor of London. April 2015, Paris. 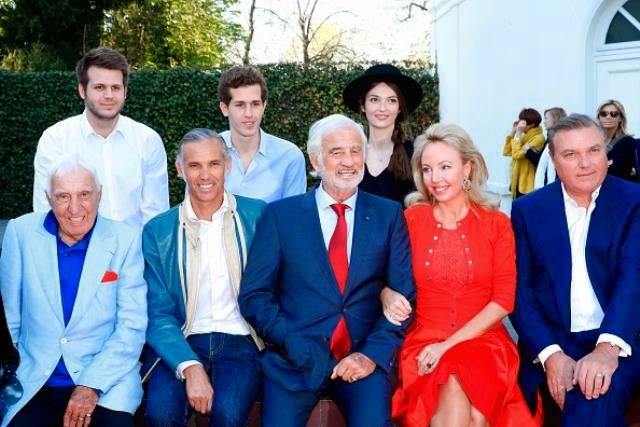 Princess Camilla and Prince Charles of Bourbon-Two Sicilies celebrate the birthday of Jean Paul Belmondo. 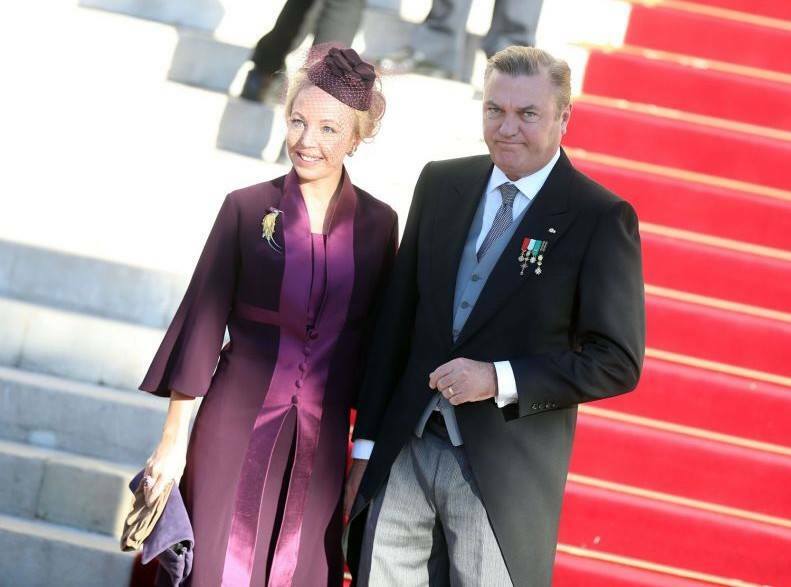 Princess Camilla of Bourbon at the Islamic Fashion Festival 2015 in Cannes. 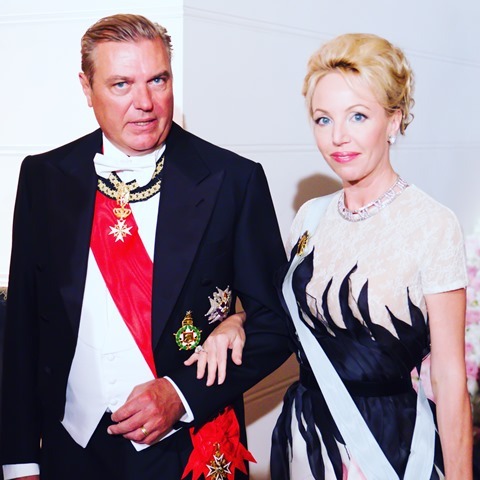 Princess Camilla and Prince Charles of Bourbon-Two Sicilies at The Rose Ball 2015 in support of the Princess Grace Foundation. Princess Camilla and Prince Charles of Bourbon-Two Sicilies at the “10th International Monte-Carlo Jumping- Longines Global Champions Tour of Monaco, 27 June 2015. 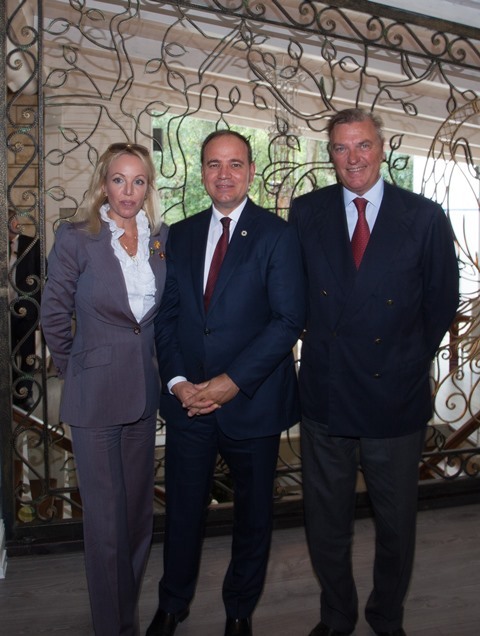 Princess Camilla of Bourbon-Two Sicilies and Professor Patrick Rampal at the Scientific Center of Monaco – Allergology, Hepatology and Gastroenterology, March 2015. 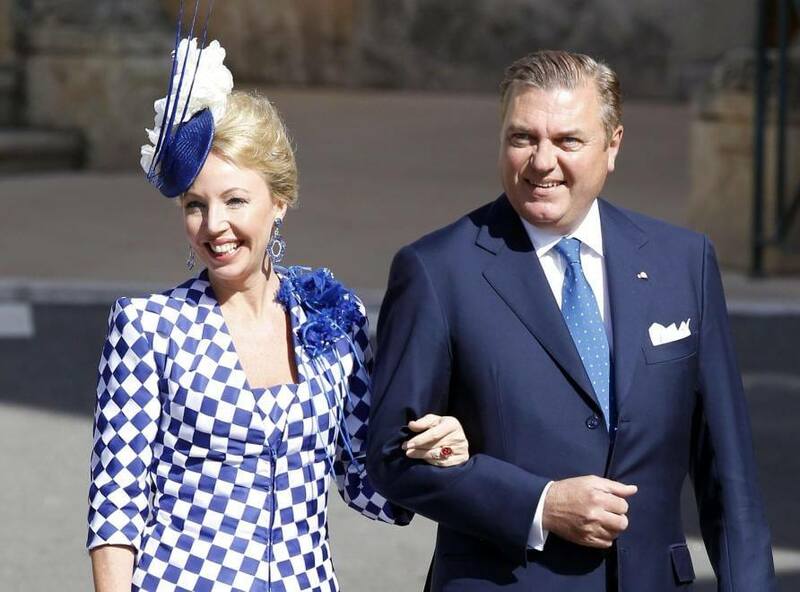 Princess Camilla and Prince Charles of Bourbon-Two Sicilies at the baptism of the twins of Prince Albert II of Monaco and his wife Charlene. 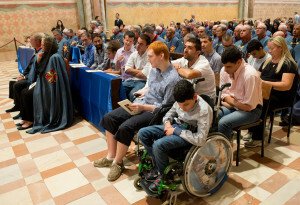 Prince Charles of Bourbon-Two Sicilies at the Royal Palace of Naples for the of “Constantinian Order Onlus Foundation”, 30 June 2015. 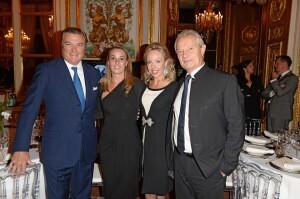 Princess Camilla of Bourbon-Two Sicilies and Bo Derek at the 55th edition of Monte Carlo Television Festival. 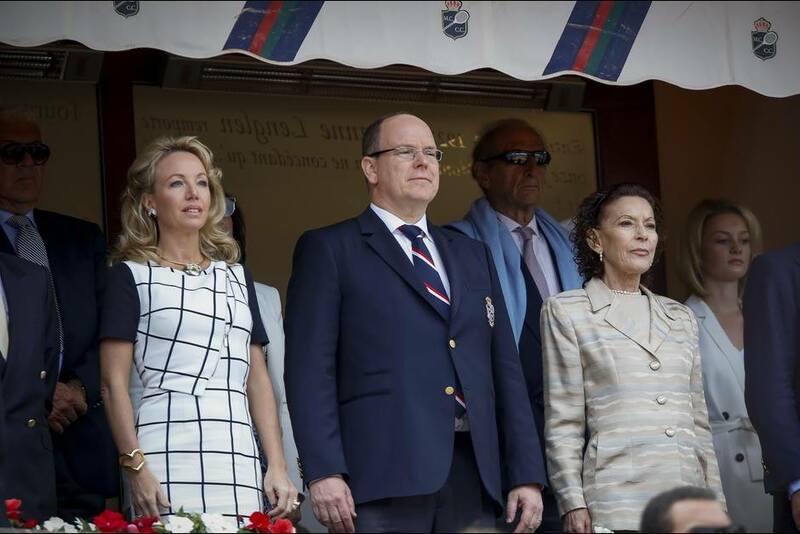 Princess Camilla of Bourbon-Two Sicilies with the Prince Albert of Monaco, ATP MAster 2015.